By tradition, the Catholic Church dedicates each month of the year to certain devotions. July is devoted to the Precious Blood of Jesus. In the past, the feast of the Most Precious Blood of Christ was celebrated on the first Sunday of July as confirmed by past Popes and recalled recently by Pope Benedict XVI in His speech after praying the Angelus on July 5, 2009. He made special mention of Pope John XXIII's apostolic letter "Inde a Primis" (dated June 30, 1960) which explained the devotion's significance and approved its litanies. Sacrifice is the highest form of religious worship which man offers to God as an act of praise, thanksgiving, petition or atonement. The most singular and pre-eminent sacrifice of the Old Law was the immolation of the Paschal Lamb which celebrated the sparing of Israel's firstborn from the fatal sword of the Angel of Death in Egypt at the time of Moses and Pharaoh. 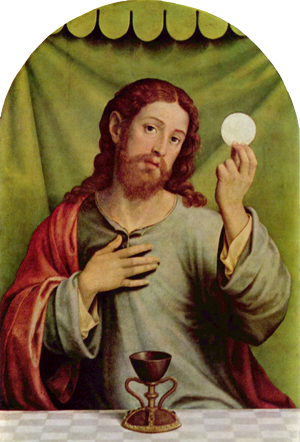 "For this is my blood of the new testament, which shall be shed for many unto remission of sins." (Matthew 26: 28) Truly, this "shedding of blood' or "pouring out of blood" took place and forms one of the glorious mysteries of our Faith. This devotion is one of the most ancient of pious Church practices. It is said that the Blessed Virgin venerated the Most Precious Blood of her infant Son on the day of His circumcision as she collected the first relics of His Precious Blood on a piece of cloth. On that momentous occasion she united her tears with that of the Word Incarnate on account of not so much of the sensible pain but of His supernatural sorrow for the hard-heartedness of mortals. In his book, The Precious Blood, Father Frederick William Faber, D.D., calls St. Paul the Doctor of the Precious Blood owing to his evident fondness to preach on It in his epistles (Romans 3:25; Ephesians 1:7; Hebrews 9:12). He recounts that the lives of saints are replete with devotion to the Precious Blood making special mention of St. John Chrysostom, St. Austin, St. Gertrude and St. Catherine of Sienna whom he considered the Prophetess of the Precious Blood for putting emphasis on It as the solution to the ills of her times. Father Faber also remarks that the Precious Blood makes us appreciate more Christ's redemption of mankind, His sacrifice and Passion. It also makes us comprehend the beautiful doctrine and the august realities of the Blessed Sacrament as we kneel in front of the tabernacle in humble adoration. 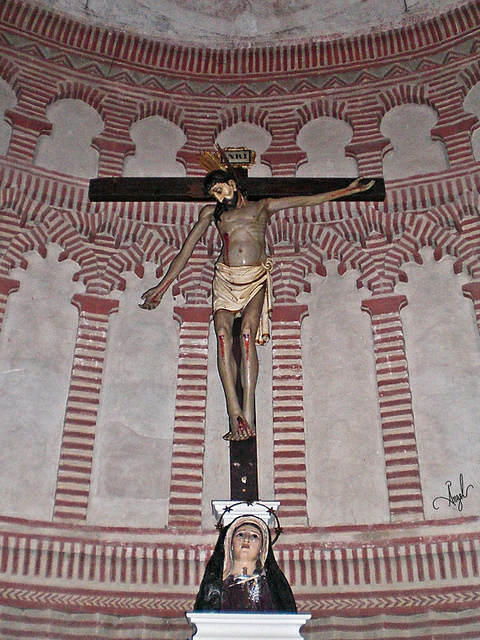 Over time the Church gave Her blessing to the devotion by approving societies like the Missionaries of the Precious Blood; enriching confraternities like that of St. Nicholas in Carcere, in Rome, and that of the London Oratory; attaching indulgences to prayers and scapulars in honor of the Precious Blood; and instituting commemorative feasts of the Precious Blood, Friday after the fourth Sunday in Lent and, since Pius IX, the first Sunday of July. 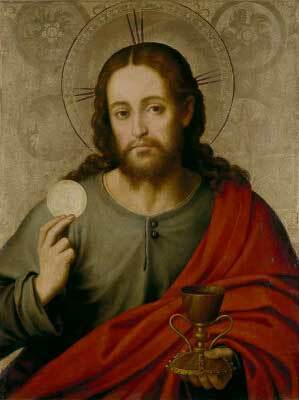 Sadly, however, the feast was removed from the church calendar in 1969, the argument being that the cultus of the Precious Blood is included in the Mass and Divine Office of the Solemnity of the Most Holy Body and Blood of Christ (Corpus Christi). Nevertheless, it is still laudable and salutary to continue to see the month of July as dedicated to the Most Precious Blood, just as Blessed Pope Pius IX intended it to be.